My boss and I are collectors and we were talking about some of the harder Hotwheels to get. 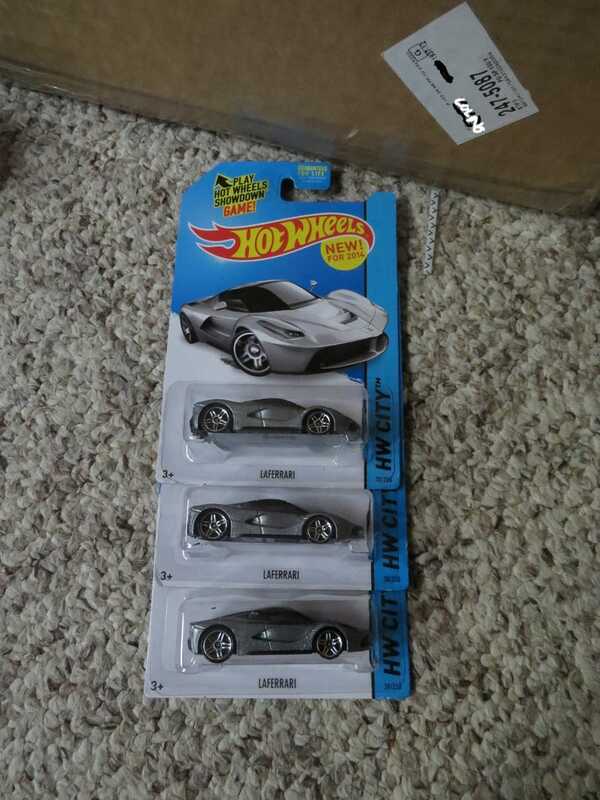 A few minutes later I’m dicking around on Ebay and find a 5-pack of Ferrari LaDumbnames and other rarer Hotwheels. He covered the shipping expenses and I gave him the three you see here. I took the other two for me and my dad. Whole thing was a $16 purchase, which was the best deal I could find, really. Hotwheels only got to make these one year and they were gone. You should see what an R8 from them runs ya. Also picked up a Jeep Scrambler. That was cool.